VeeamON – Las Vegas, NV: October 8, 2014: Veeam® Software, the innovative provider of solutions that deliver Availability for the Modern Data Center™, today announced Veeam Endpoint Backup FREE, a simple and free standalone solution that enables users to back up Windows-based laptops and desktops to an internal or external hard drive, a NAS (network attached storage) share or a Veeam backup repository. 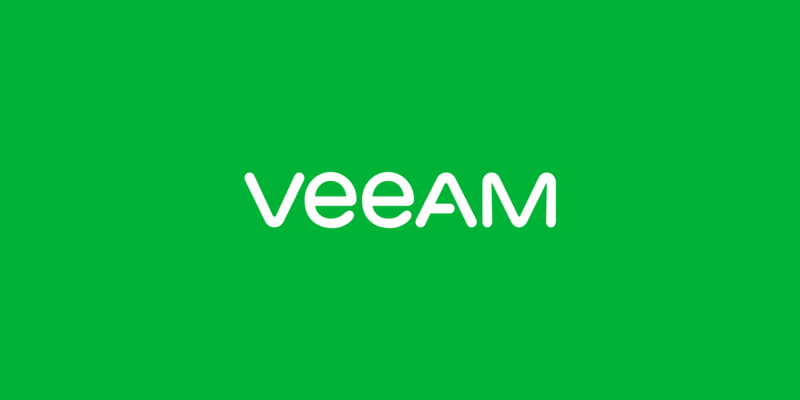 Veeam has a history of providing stand-alone free tools to the IT community that will solve real challenges, beginning with FastSCP, Veeam’s very first product, originally released in October 2006. Veeam Endpoint Backup FREE joins the company’s wide portfolio of free tools used by over 500,000 IT professionals, which include: Veeam Backup Free Edition, Veeam ONE Free Edition, and Veeam Task Manager for Hyper-V. When recovering, IT professionals can perform a bare-metal restore to the same or different hardware, a volume-level restore, or a file-level restore. The tool will be freely available to all and will not require the use of any additional Veeam products, but will integrate with Veeam Backup & Replication if one is present in the environment. In this case, granular or full application recovery capabilities made possible by Veeam Explorers for Microsoft Exchange, SharePoint, SQL and Active Directory are also available. Veeam Endpoint Backup FREE will become available in early 2015. For more information, please visit http://go.veeam.com/endpoint. Veeam® provides Availability for the Modern Data Center™ by leveraging virtualization, storage, and cloud technologies to deliver RPOs and RTOs (RTPO™) of less than 15 minutes for all data and applications. Veeam’s solutions enable the Always-On Business™ with high-speed recovery, data loss avoidance, verified protection, leveraged data and complete visibility. Veeam Backup & Replication™ leverages technologies that enable the modern data center, including VMware vSphere, Microsoft Hyper-V, NetApp storage, and HP 3PAR StoreServ and StoreVirtual Storage, to help organizations meet RTPOs, save time, mitigate risks, and dramatically reduce capital and operational costs. Veeam Availability Suite™ provides all of the benefits and features of Veeam Backup & Replication along with advanced monitoring, reporting and capacity planning for the backup infrastructure. Veeam Management Pack™ for System Center is the most comprehensive, intuitive and intelligent extension for app-to-metal management of Hyper-V and vSphere infrastructures, and includes monitoring and reporting for Veeam Backup & Replication. The Veeam Cloud Provider (VCP) program offers flexible monthly and perpetual licensing to meet the needs of hosting, managed service and cloud service providers. The VCP program currently includes more than 5,000 service provider partners worldwide. Founded in 2006, Veeam currently has 25,000 ProPartners and more than 111,500 customers worldwide.